Home » Events & Press Releases » An award for Kvazaar ! An award for Kvazaar ! 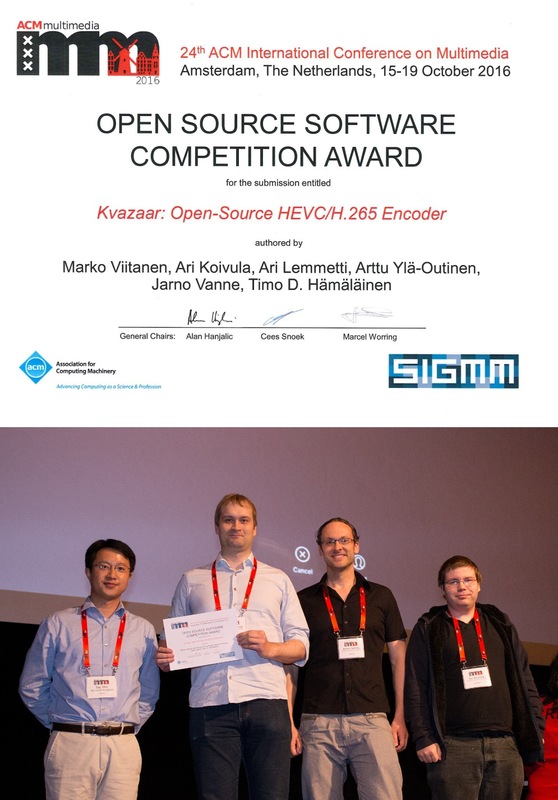 Kvazaar HEVC Encoder, from our 4Kreprosys partner Tampere University of Technology, is the winner of the ACM Open Source Software Competition in 2016.